In this post we examine five of the best-selling moving straps. 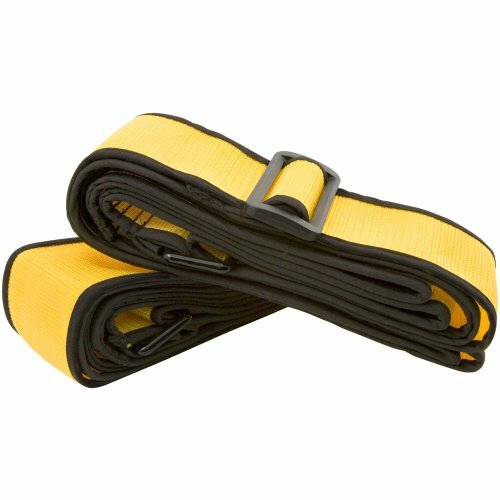 These lifting straps are great if you are planning on moving or just want to rearrange bulky items in your home. They work by giving you more leverage when you lift heavy objects (Source). They also reduce the strain on your back and legs when you are lifting furniture. There are a couple different options to choose from when you look at moving straps. A two person moving harness is a common model (Source). 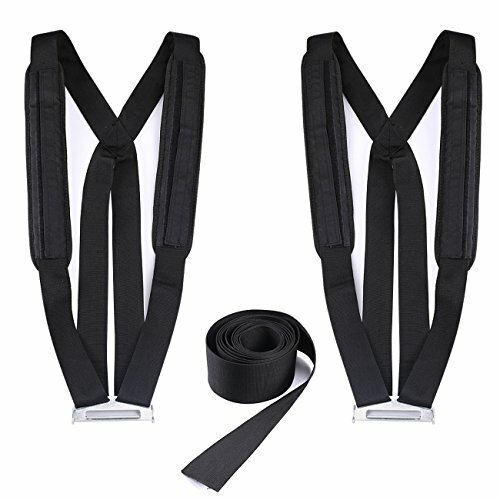 These consist of 2 harnesses and a strap between them that slides under what you are lifting. A forearm forklift is another common model. This works generally the same way except it doesn't go on your torso. Instead, you will slip it over your forearms. With this, you won't have to worry about relying on your grip strength (Source). 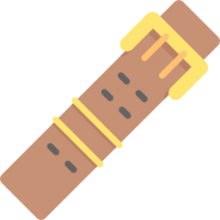 There are also smaller, simpler lifting straps. Lifting straps don't always work that well maneuvering large, bulky furniture but they can work for heavy planters or similar objects (Source). Since these adjust to shape, they are best for heavy pieces with irregular shapes. If you want a forearm lift, check out the SuperSlider, while if you want a shoulder-powered lifting aid, check out the Shoulder Dolly. Customers had a lot of useful tips for new users as well. For one, they suggest that you carefully read the instructions for your moving straps. If you use them incorrectly, it can lead to some unfortunate mistakes hauling furniture. Other buyers commented on the ease with which they could use these straps to move things. We have already gone over the leverage and weight distribution but there's more. Customers commented that they were able to navigate tight corners with relative ease. The first distinction between these products is the type of moving straps that they are. 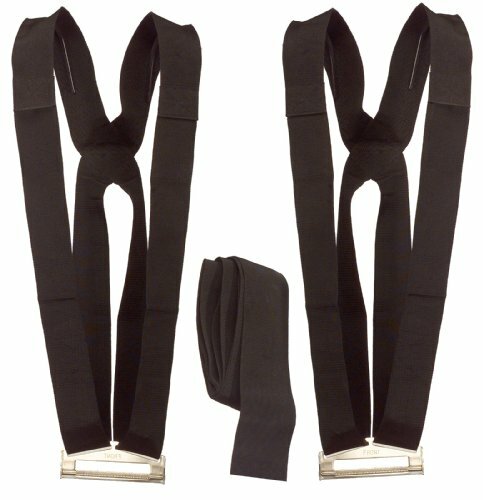 If you're looking for forearm straps, the Super Sliders and Forearm Forklift straps are what you need. If you want 2 person shoulder dollies are what you need, there are options for you too! Neilsen products, Trofoty, and Shoulder Dolly brands are what you are looking for. While it might be a novelty feature, you can choose the color of your Forearm Forklift if you want. These come in a variety of options including solids and even themes such as the colors of the French flag. When it came to quality, though, customers were generally happy with all these options. If you’re looking for top-rated moving straps, you might want to consider this Shoulder Dolly model. Users love the usefulness of these moving straps, but some do complain about them sliding. This product is a 2-person lifting and moving system that, it’s said, enables you to carry appliances, TVs, furniture, and all other heavy, bulky items securely and injury-free. Thanks to its design, this lifting system allows two people to maintain proper upright posture while lifting any heavy object. The straps keep your hands free to maneuver doors and stabilize items and their adjustability allows unlimited range of motion. This item might be a good choice if you’re looking to ease the burden of lifting heavy and bulky objects and prevent back, arm and hand strain. In general, buyers have a favorable opinion of the Shoulder Dolly moving straps. They agree that they are easy to use and comfortable. Users state that the straps are well-made of heavy-duty materials. However, some complain that the straps might slide when carrying heavy objects. The Forearm Forklift lifting and moving straps are a solid option if you want to reduce back injuries due to heavy and repetitive lifting. Users like the quality of these straps, but many complain about being a victim of fraud by receiving a knock-off product. 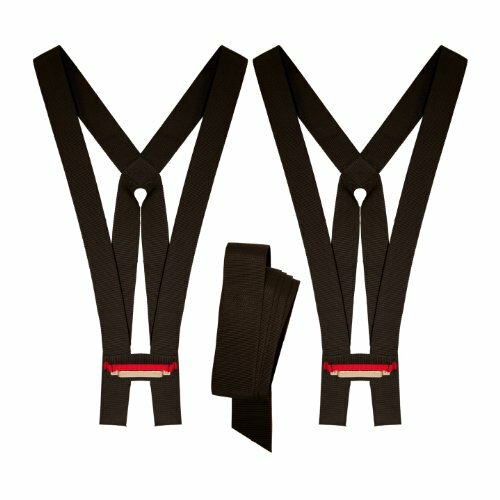 This product includes a pair of straps that are ergonomically designed to encourage proper lifting techniques. By using leverage, the straps are claimed to reduce the weight of the item being carried by 66%. They are available in 13 colors. This item could be a solid choice if you want to eliminate the possibility of scratching wood and tile floors when carrying heavy items. In general, users state that the Forearm Forklift moving straps meet their expectations. They agree that this item is a great help for moving heavy objects. Buyers appreciate that the straps are well-made and heavy duty. However, there are many complaints of receiving a knock-off product. Dissatisfied users warn that the fake straps are made from a much thinner, softer, and weaker material, as well as that they are 2’’ wide instead of 3’’. Shoulder moving straps help furniture seem lighter and make it easier to move. Moving straps help keep your back from suffering when you lift. These straps also promote proper posture when you lift furniture. Shoulder moving straps give extra leverage when picking a piece of furniture up. Versatile moving straps can help you move a variety of objects. Some people use moving straps to create handles. This allows for a better grip and less chance of dropping what you are moving. The Trofoty moving straps could be a good option if you are a professional mover, homeowner, apartment renter, college student, or anyone who wants to move a big bulky item from one place to another. Users like the usefulness of these moving straps, but some do state that the design could be improved. This product features extra-long and wide foam shoulder pad which is said to effectively decrease pressure on your shoulder when lifting and moving heavy items. With this moving straps, you can lift a heavy object with your hands-free to open the door or keep the object balanced while moving. This item might be a good choice if you want to lift heavy items by utilizing the body’s strongest muscles, the legs and torso, and keep your back strain-free. The general user consensus concerning the Trofoty lifting aid is that it is a real back saver. Many buyers state that it is well-made and easy to use. They emphasize that this item makes light work of any heavy lifting. However, some buyers complain of small shoulder straps and small buckle that don’t fit well. If you are looking for pro-lifter moving straps, you might want to consider this Super Sliders model.Users like the handiness of this lifting aid, but some do complain about its size and slipping. This product is a set of moving straps that support up to 600 lbs. The manufacturer boasts that the straps offer superior quality and longevity for all your furniture moving and floor protection needs. This product might be a good choice if you are looking for a solution to move your furniture quickly and easily. In general, users have a good opinion of the Super Sliders Pro-Lift moving straps and they conclude that they are a must-have if you’re planning on moving furniture. Many buyers state that they worked like a charm for many types of furniture. The complaints regard the length of the straps which might not be sufficient to really wrap around anything too large, as well as the possibility of them slipping. The Nielsen Products lifting aid might be a solid option for helping you out with moving furniture and appliances around your home. Users like its usefulness, but some do complain about the straps sliding or snapping off. 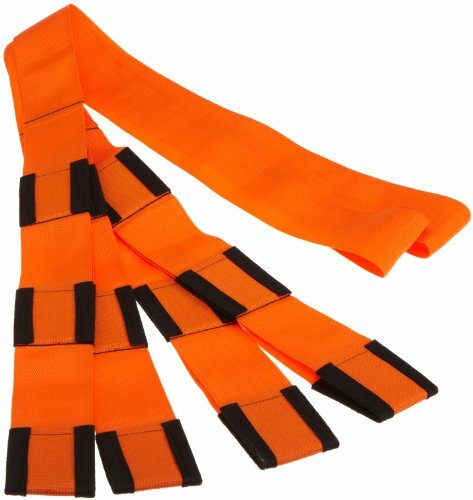 This product includes two polypropylene harnesses and one 12’ x 3’’ polypropylene lifting strap. The strap allows your arms to be unconstrained. Therefore, the need for stabilization, opening doors, and overall balance is attained with this item. According to the manufacturer, you can lift objects up to 10’ long and 600 lbs. heavy. If you want to have a higher weight-carrying capability and increased comfort while moving heavy objects, you might want to consider choosing this item. In general, users state that the Nielsen Products lifting and moving system is sturdy and very easy to use. They agree that these straps make moving large heavy objects easy. However, there are buyers who complain that the straps slide when moving objects. Some even report that the straps snapped off while carrying an item. A dissatisfied buyer we interviewed shares that the locking mechanism doesn’t hold the stated weight. In this section we thought we'd examine how buyers have used these moving straps when handling heavy objects, when planning on moving between apartments, going up and down stairs and multilevel brownstones. You can purchase them at Lowe's, Amazon, Walmart, Harbor Freight, Menards, Ace Hardware, even finding as seen on TV models. The Shoulder Dolly was one of the more popular lifting and moving systems we examined and the feedback was incredibly rich. One reviewer we interviewed explained to us how to use this two person moving system to manipulate a 650-pound dumpster. Other buyers concurred with how simple it is, surprisingly, to manipulate incredibly heavy objects. If you're looking to accomplish a home move, and don't have a lot of time, or a lot of people to help out, using lifting straps is an effective way to increase your manpower. Pro Tip: Before a move, it's oftentimes a good idea to hire a junk removal company to haul out clutter that you don't want to transport to your new home (Junk Hunters). They praised the quality while also saying that it decreases the risk of injury and fatigue during the transportation of furniture. Another buyer told us that because they were doing some home renovations on their parquet wood floors that it was necessary to remove all of their living room furniture which included a sofa, large television set, arm chair and coffee table. Because both of them suffer from chronic back pain it was important to figure out an easy way to move all this furniture without hiring professionals but also without risking further injury to their bodies. They tell us that the lifting straps were essential for completing this task- you do have to get a tight strap cinch so that large and unwieldy objects are tightly bound for transport. Other buyers who were moving a fridge tell us that the straps weren't ideal for exceptionally heavy items to be moved up and down stairs or through doorways. One of the problems they encountered was that when maneuvering through a narrow doorway one person ended up shouldering the brunt of the weight, which could have disastrous effects especially if one person is a lot less stronger than the other. Another problem buyers experienced is that If you were transporting antiques or wooden objects that are especially sensitive, the metal belt buckle can actually chafe and scratch up your furniture. That said, if you use them in conjunction with dollies they can work well together, but you should be careful to sensitively handle wooden objects so that the metal buckles don't scratch expensive pieces of furniture and irreparable damage. That's it for our review-leave a comment in the comments section below if you have any personal experience using these lifting and moving systems. In the course of our research we discovered a bunch of different models on the market. These include: the Above All Forearm Forklift Lifting and Moving Straps; the Antsir Forearm Lift Aid Tool; the Cimiva Lifting Moving Shoulder Forearm Carry Strap; the Shoulder Forearm Carry Strap; the Piano Moving Strap; the Shoulder Dolly Lifting System; the Landle Lifting Device.